Catch on the latest news about railways and updates in Great Britain on our latest issues of Railway Bylines. There is more wide-ranging geology concentrated in Britain, for its size, then in any other country on Earth and countless lines sprung up through her long industrial history to bring forth coal, ironstone, every sort of metal ore, granite, slate, peat, clay, phosphates and almost everything else. 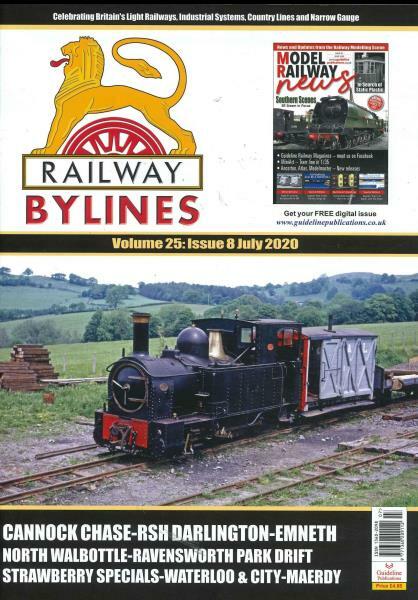 Subscribing today to Railway Bylines magazine at a reasonable deal, Subscribing to a magazine enables you to keep up with all the latest trends, oldest unknown facts and news of your monthly dose of railway news. I hope all the eager minds of railways do not want to miss out on all the knowledge and facts. It is an excellent magazine with very good articles and especially good photos and long photo captions. Keep it up!